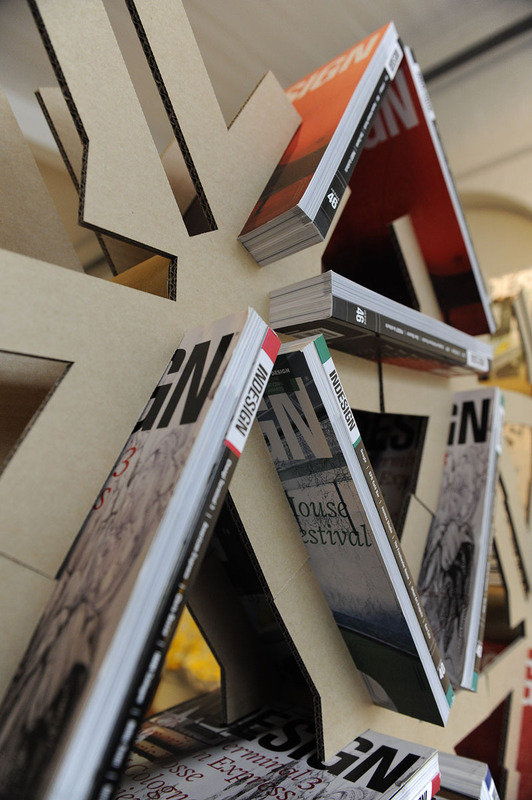 Indesign invited Tobias Horrocks of Fold Theory to create an installation using back-issues to celebrate the 50th issue of their magazine, during Saturday Indesign. 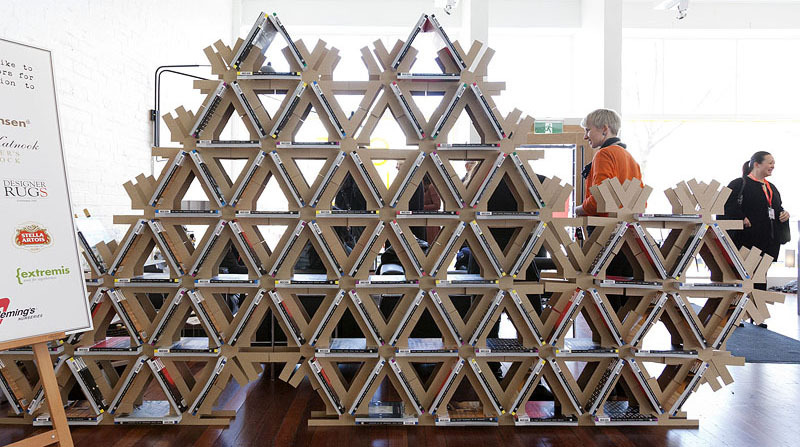 The ‘future of workplace design’ was the theme of the 50th issue. What about the future of publishing? What will happen to the hard copies, the physical archive, when magazines go digital? 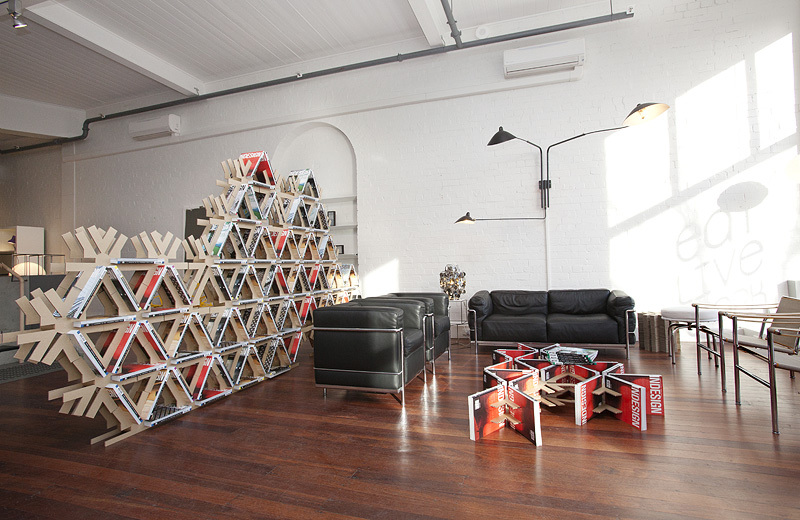 What if subscribers could build a shelving unit out of their magazine collection, with some simple recycled cardboard connectors? This installation was completed for Indesign, but all magazines and books perhaps share the same fate… This project suggests a way to minimize the waste created by the death of the printed page.